This Autumn, I’d love to show you a new skincare routine that will create healthy, glowing skin! It’s as simple as 1-2-3 – but each product is packed with powerful ingredients that heal and restore. You won’t need to buy another piece of skincare – SIMPLIFY Skin Seasons: Autumn is all you need to take care of your skin — naturally. Your new skincare collection is made with whole food ingredients, inspired by the Autumn season: pomegranate, honey, cinnamon and more! 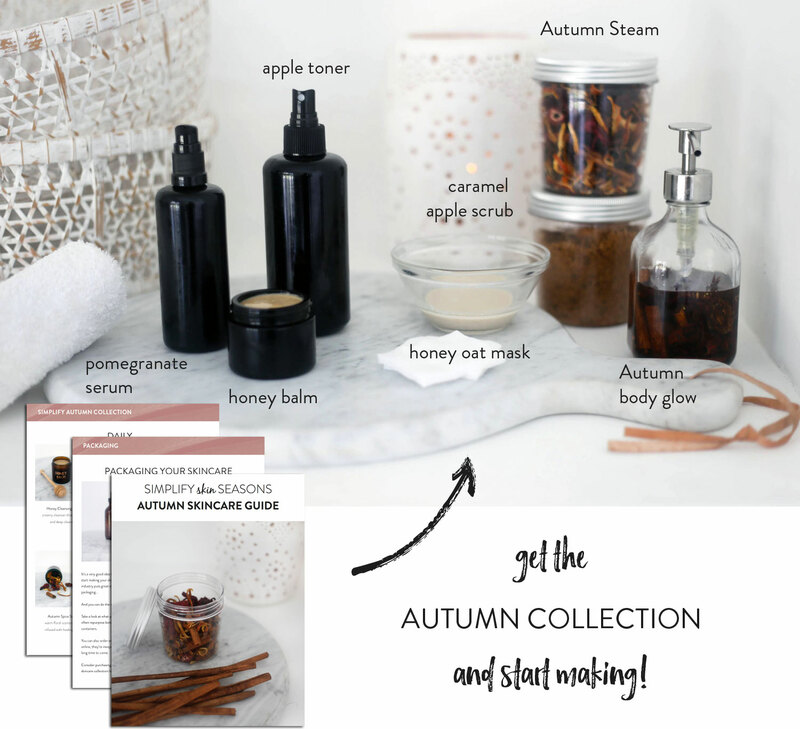 The video workshops, printable guides and worksheets with show you, step-by-step, just how easy it can be to make your own luxury Autumn skincare collection. 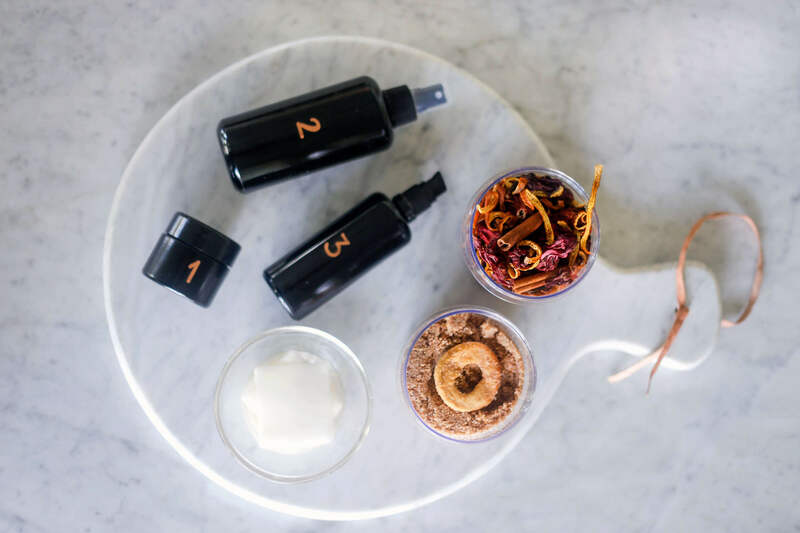 You also learn how natural ingredients work with your exact skin type, so you can mix-and-match ingredients, customize your skincare and create a lifetime of safe & effective skincare products. Packaging Guide: The beauty industry puts great effort into creating enticing packaging… and you can do the same for yourself! Cleanse: Honey Cleansing Balm – creamy cleanser that hydrates and deep cleanses. 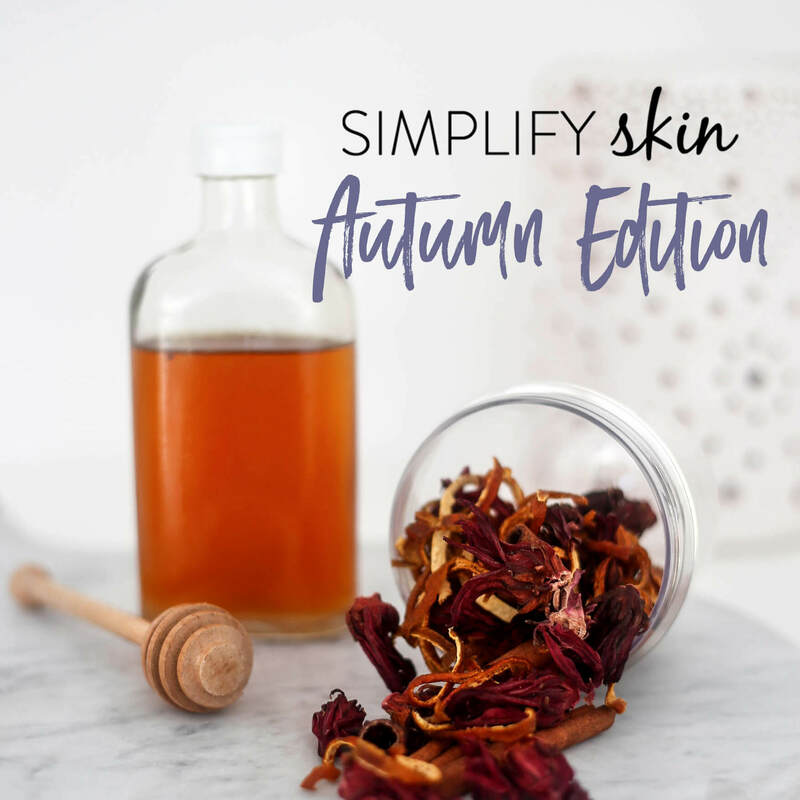 As a special bonus, when you purchase SIMPLIFY Skin Seasons:Autumn, you’ll get access to our private, invite-only community of like-minded makers. 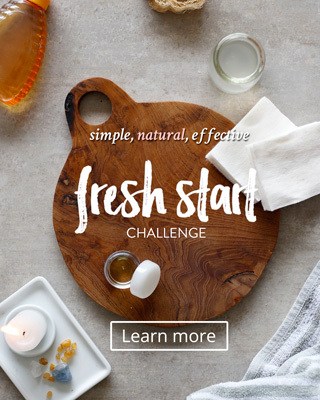 Exchange ideas and recipes, share your successes and even meet up in person; I can’t wait for you to meet your fellow SIMPLIFY Skin classmates. When you join SIMPLIFY Skin Seasons: Autumn, you’ll have questions! Whether you want to know more about your skin type, packaging and shelf life, or questions about ingredient swaps – I’m just an email away! 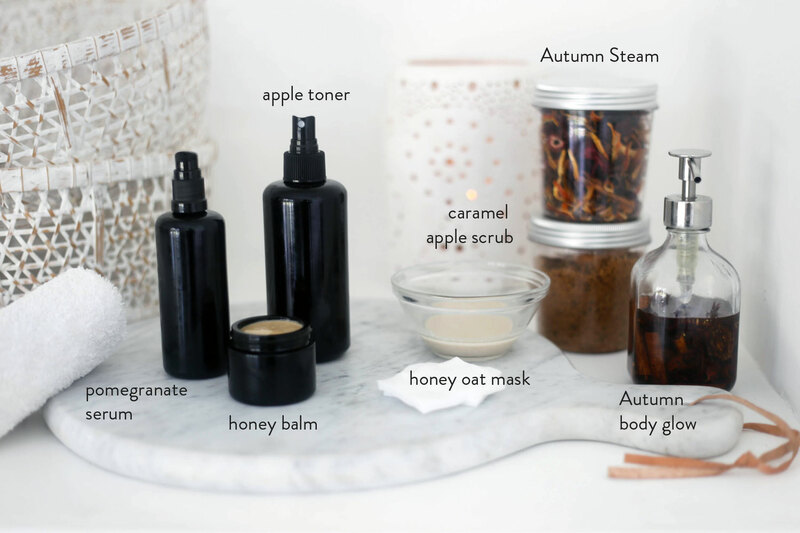 With SIMPLIFY Skin Seasons: Autumn, you’ll be amazed to see the kinds of skincare that you can make from common kitchen pantry ingredients!